We are in the league of trustworthy firms that are offering Surgical Knives. The gamut offered by us includes Cornea Knives, I-Slider Side Port Knives, Ophthalmic Surgical Knives, Angled Ophthalmic Knives, Ophthalmic Cataract Knives, Micron Knives- Groove Depth, Paracentesis Knives, Side Port Knives & Stab Knives and many more product, under this category. 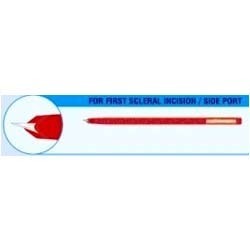 Designed to provide strong, true point for easy penetration during initial stab incision, our offered products are widely appreciated by the patrons for their seamless finishing and durability. 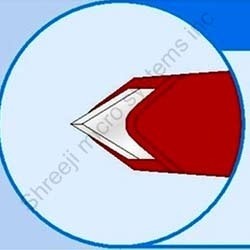 The ophthalmic Blade from the house of Shreeji Micro systems Inc are a product of export Quality and reasonable pricing. Composed using the latest state of the art systems, our Blade come popular for their handiness and accuracy. SMS has been at the forefront of precision inclusion in Ophthalmic Blade Success full in world wide Export. 2.2 mm, 2.5 mm, 2.75 mm, 2.85 mm, 3.0 mm, 3.2 mm, 3.5 mm 45o angled, full handled high sharp cutting edge. 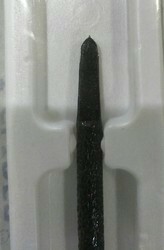 Crescent (Tunnel) Blade : For Making a groove tunnel 2.0mm, 2.2 mm, 2.5 mm, 2.6 mm 45o angled, angled, full handled high sharp cutting edge. 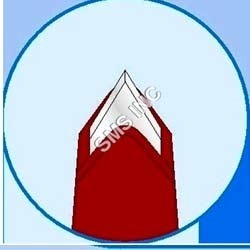 Lance Tip Blade: for first side port incision 15 degree, 30.0 degree, 45.0 degree, both side hi sharp cutting edge. For implant lens 5.0 mm, 5.2 mm, 5.5 mm, full handled , 45o angled, both side cutting hi sharp cutting edge, Mvr Blade for water tight sealing incision 19.0G, 20.0G, 24.0G, 45` angled, full handled high sharp cutting edge. 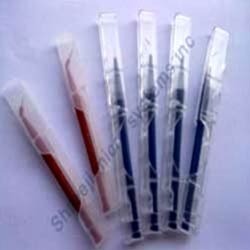 Leveraging on the expertise of our professionals, we have been able to offer a range of Cornea Knives. All our products are developed by a team of adroit experts, following industry laid norms and guidelines. Due to having blades that definitely assure safe & optimum performance, our offered knives are widely demanded by the respectable clients. Before the final dispatch, all our products are thoroughly scrutinized by a team of quality analyzers on varied parameters to ensure their flawlessness. With the help of our hardworking professionals, we have been able to offer a range of I-Slider Side Port Knives. The offered knives are designed and manufactured from high grade quality raw material following medical standards. These products can be customized by us in order to meet the customers' specifications. Our offered I-slider side port knives are widely appreciated for their durability and optimum quality. Backed by the profound industry experience, we are presenting vast variety of Glaucoma Knives & Control Depth Knives. All our products are designed by a team of skilled experts in compliance with international standards. The products offered by us find their use in various hospitals and nursing homes for surgeries. Owing to features such as resistance against corrosion, sharp edges and fine finishing, our offered knives are widely applauded by the customers. 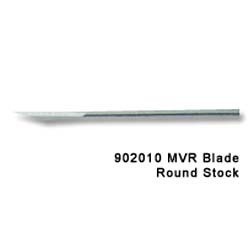 Mvr blade: 19 g, 20.0 g, 24.0 g, full knives/st-angled. 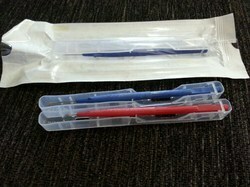 Clear cornea blade: 2.0 mm, 2.75 mm, 3.2 mm full knives/st-angled. Packaging Details: Individual pouch packed eto sterile,per box 06 pcs.